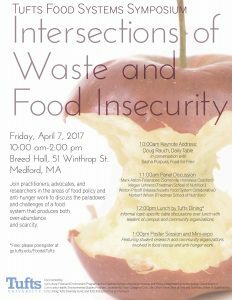 Join us for the first Tufts Food Systems Symposium on April 7, 2017 (10 am to 2 pm) at Breed Hall, 51 Winthrop Street. Please RSVP here. *NOTE: We met our registration cap earlier than we anticipated and have expanded it. People registering after March 30 are still guaranteed lunch, but we may be supplementing the Tufts Dining buffet with pizzas if need be! Receive updates and reminders by subscribing to our mailing list and/or visiting our Facebook page. 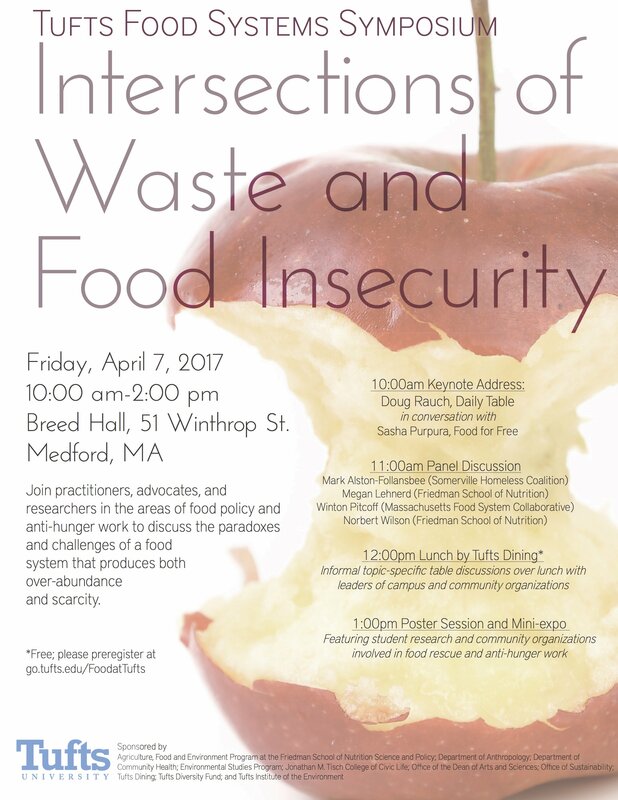 Also check out ‘The Future of Food and Nutrition,” the 10th annual Graduate Student Research Conference at the Friedman School of Nutrition Science and Policy, starting in the evening of April 7 and continuing all day Saturday, April 8, and the annual Farm-to-Table Shabbat at Tufts Hillel at 7 pm on April 7 (pre-dinner discussion at 5 pm).